April 2018 was a groundbreaking month for decentralized real estate, and tremendous headway was made by leading property tokenization organization, Rise Housing. 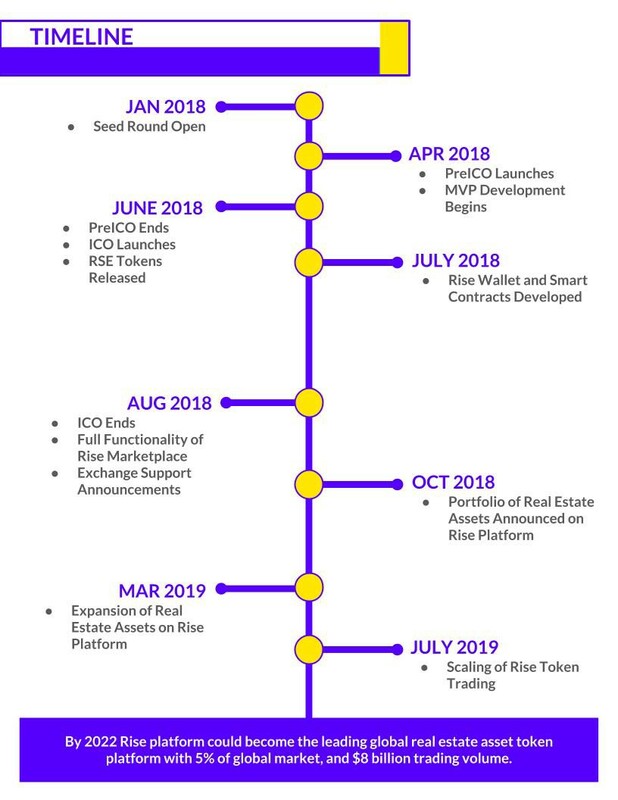 Rise launched their PreICO, which currently offers RSE tokens to investors with a 40% bonus, giving early birds an opportunity to own 40% more equity in Rise Housing’s tokenized properties. Rise has made incredible progress already this year, and a look at their ambitious roadmap for the next 18 months shows that they are only just getting started. The Rise team is currently focusing their efforts on promoting the PreICO and sharing the Rise Housing social mission with as many people as possible. Monika Proffitt, the CEO, will be pitching the Rise Housing business at the Collision tech conference in New Orleans on May 2nd to a panel of leading tech moguls and an audience of almost 20,000 attendees. Rise is also planning series of bounties and promotions that should increase the company’s visibility by orders of magnitude over the coming weeks. The PreICO will conclude at the end of May, and the full ICO will launch on June 1st at which time Rise will begin the distribution of RSE tokens. During the summer, the Rise team will be hard at work developing the Rise Housing platform and all associated features including custom smart contracts and the Rise Wallet. They aim to have the Rise Marketplace fully functional by the time the ICO closes in August. In October, Rise will roll out their first portfolio of tokenized real estate assets on the Rise platform, and users will be able to start purchasing equity shares in individual properties. The team will spend the winter and spring creating strategic partnerships and acquiring new properties to expand the real estate assets available on the Rise Marketplace. Next July, the Rise team will concentrate their efforts on scaling the trading of Rise Tokens and making them more accessible to everyone. This means getting RSE onto major exchanges and implementing ways to buy RSE tokens directly from fiat currency. By 2022, Rise aims to be the leading real estate asset token platform with 5% of the global market and $8,000,000,000 ($8B) in trading volume.